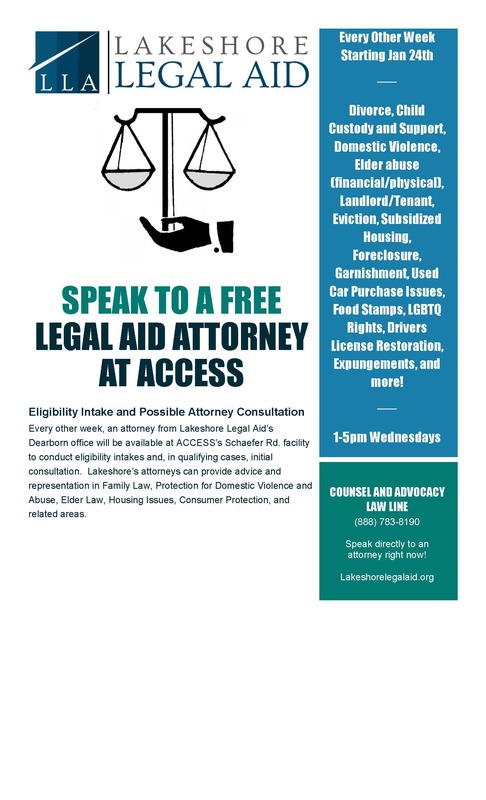 Every other week, an attorney from Lakeshore Legal Aid’s Dearborn office will be available at ACCESS’s Schaefer Rd. facility to conduct eligibility intakes and, in qualifying cases, initial consultation. Lakeshore’s attorneys can provide advice and representation in Family Law, Protection for Domestic Violence and Abuse, Elder Law, Housing Issues, Consumer Protection, and related areas.